Stretch chinos used to mean dad pants with an elastic waistband. But oh, how times have changed. Now, owning a pair of chinos with stretch fabric means plenty of comfort, mobility & endless style. See them in action with these three Stylist-approved starter looks. Get a comfy lead. 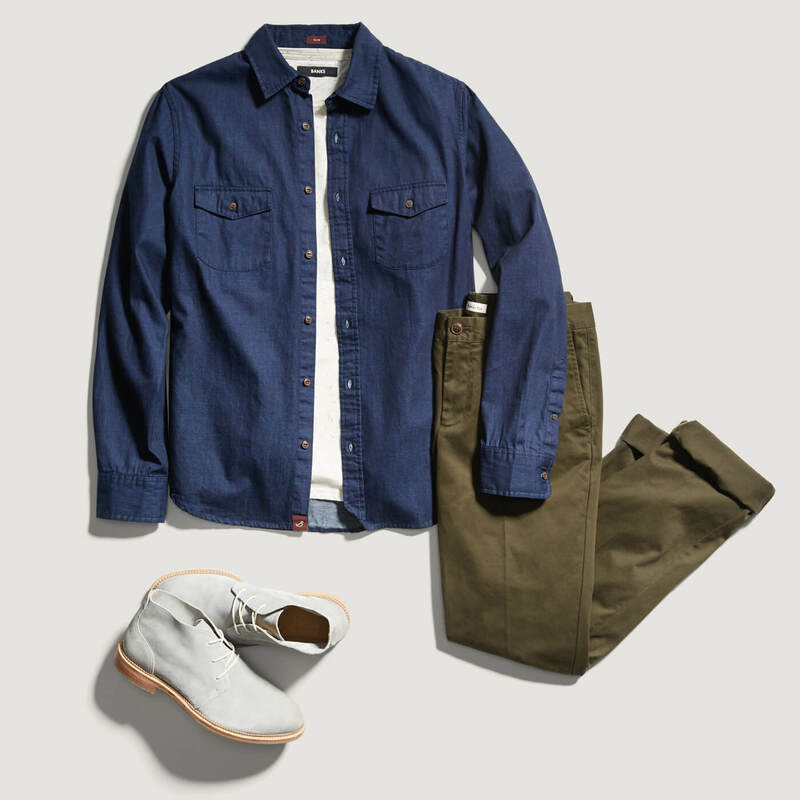 See how to wear stretch chinos in three essential colors. Chinos vs. Khakis: What’s the Difference? 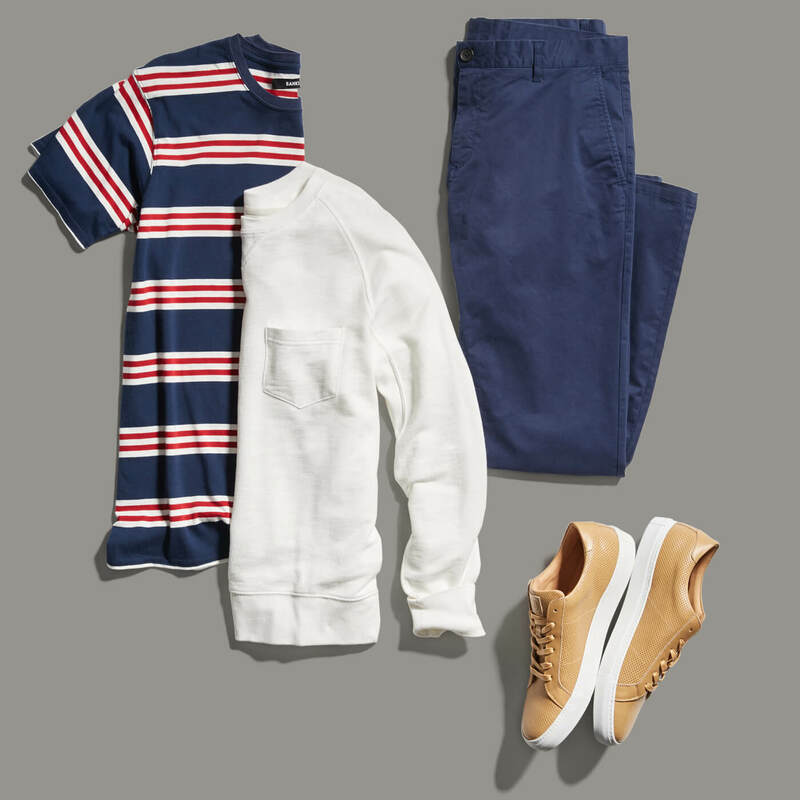 Chinos and khakis often get mixed up, but here’s an easy separation point: Chinos were traditionally seen as semi-formal wear due to their lightweight & tapered construction. Khakis, on the other hand, lean more casual with relaxed (translation: baggy) fits. But rules sch-mules. With the emergence of casual styles, the chino has turned into a versatile closet go-to for every guy. And with stretch, they’re now a necessity. Chinos make a great addition to casual wear. Match them up with a play-it-cool button-up and tee for a relaxed yet work appropriate style. And for the shoes? Surprise them all by choosing the chukka boot over sneakers. A pullover sweater is generally considered casualwear, but that really depends on the fabric. 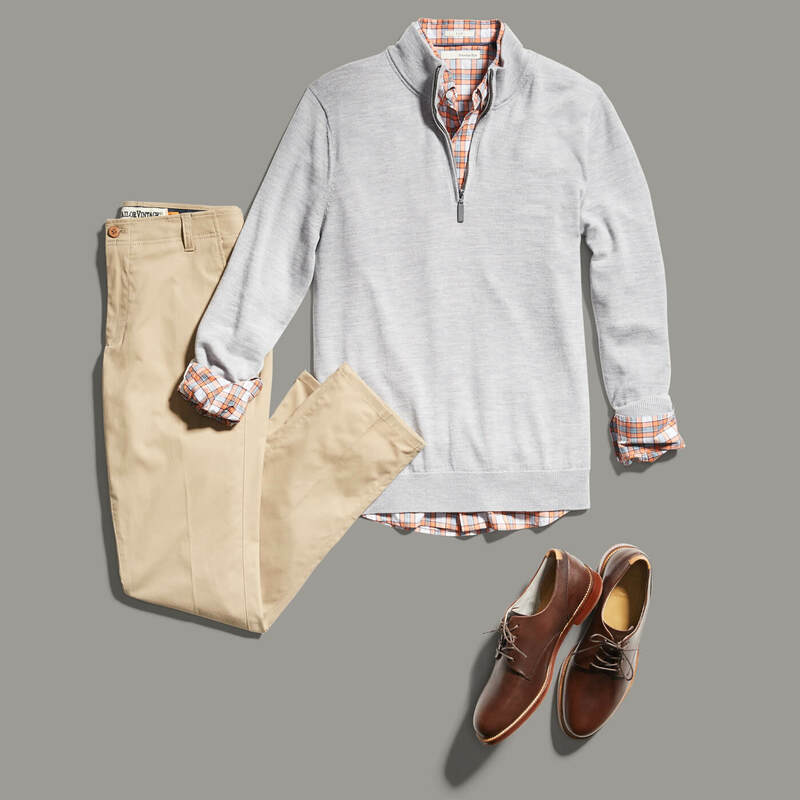 Take a pullover made of cashmere or upgraded supima cotton, and pair that up with a gingham shirt for a touch of color. Add the chino to round out a more formal look. Don’t forget the chino during the weekend. Although it’s common to dress down with your favorite jeans, a pair of chinos can bring the same relaxed vibe to your Saturdays and Sundays. Keep the balance between formal and casual going with a classic polo and a great pair of leather sneakers. Ask your Stylist about working the stretch chino into your rotation.